In 2011 and 2012, InterAide O&M activity has been extended to Chiradzulu and Mulange (South Region) and to Ntchisi and Dedza (Central Region). This program covers now 10 districts, and 250 area mechanics propose their services to the communities (skill are mainly on Afridev hand-pump model). In all these area, InterAide also provides Afridev spare parts accessibility through a network of shops (complementary with Chipiku stores). 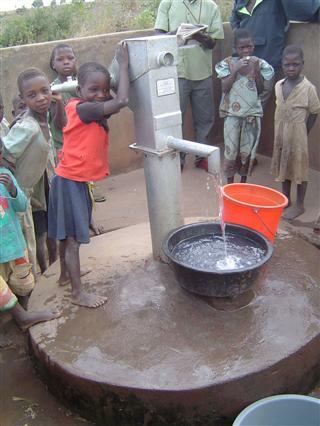 2300 have been repaired from January to October 2012 thanks to Area mechanics interventions, allowing access to safe water for 575 000 people.